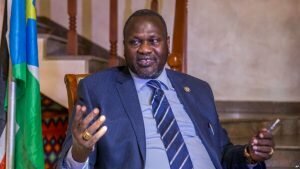 Addis Ababa, March 30, 2017 (SSNA) — South Sudanese rebel leader Dr. Riek Machar has ordered an immediate release of one Pakistani and two Indian Engineers who were captured this month on two separate occasions, a senior SPLM-IO official who declined to be named told the South Sudan News Agency in the Ethiopian capital, Addis Ababa. The announcement came nearly three weeks after Indian oil Engineers Ambross Edward and Muggy Vijaya Boopathy were captured by the armed opposition soldiers in Upper Nile. The two Engineers were detained in Guelguk North after a fierce fighting between government and rebel forces. The armed opposition accused Indian Engineers of working for South Sudanese government after they allegedly refused to listen to their warnings. Pakistani petroleum Engineer Ayaz Hassain Jamali who was detained in Paloch oil field has also been released. The rebel official said both Ethiopian and Sudanese governments played a crucial role in securing the release of the detained Engineers. “Addis Ababa and Khartoum played a significant role in the release of the three oil Engineers. So, we thank them for securing their release,” the official told the South Sudan News Agency. Earlier this month, SPLA-IO spokesman Col. William Gatjiath Deng urged foreign oil workers to think before they set foot in any oil production site and calls on oil companies to value the lives of their employees.